Following World War I, a few English-speaking expatriates founded a mission church in Brussels. Since then the church has matured into what is now the International Protestant Church of Brussels (IPC). Considering the challenging transitions the church has undergone, it is a tribute to its leadership that it has nurtured three major traditions: providing a spirited expatriate community of sharing as well as a place for the inclusive celebration of the Christian faith and consistently supporting local and international missions. Three eras mark IPC’s history, each distinguished by the name of the church, the location of its building, and the composition of its membership. The Wesley Methodist Church was founded as a Belgian mission church supported by the Methodist Episcopal Church South (USA), initially sharing a place of worship with a Belgian Methodist Church francophone congregation at Champ de Mars 5 in Brussels. When the Wesley Church reorganized after World War II, it attracted many Americans, significantly raising the proportion of American members. 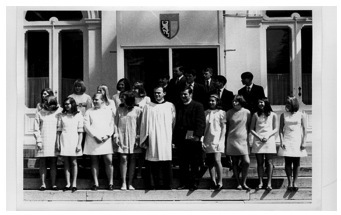 The changing composition and an increase in numbers led to the church to reorganize and rename itself as the American Protestant Church – and to move in 1961 from the Champs de Mars to the campus of the International School of Brussels (ISB). 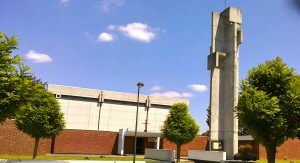 In the 1990s the church once again changed its name and its building. The increasing proportion of non-U.S. members and a general desire to be intentionally international led to the congregation changing the name to the International Protestant Church (IPC). Following decades of struggling with a poorly constructed building on the ISB campus, IPC abandoned it. 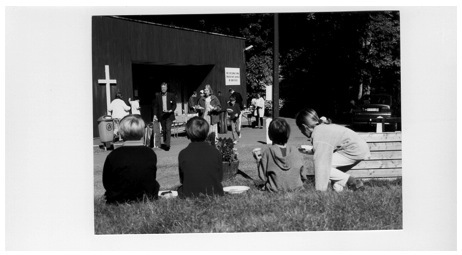 After months of conducting services in cafeterias, the church relocated into the former ISB Middle School building at the rear of the ISB campus. The changing leadership of ISB and the changing needs of the campus once again caused the IPC congregation to move. After being graciously hosted by the American Women’s Club of Brussels during a time of search, the congregation began a new era in their history by moving to their current home, a shared facility with a French Roman Catholic congregation at Notre Dame du Blankedelle in Auderghem. Throughout these transitions, the church has maintained three traditions. It has provided a sharing fellowship for English-speaking expatriates living in Belgium who come from all over the world. It has continued to celebrate the diversity of Christian expressions by embracing our multi-denominational nature. And it has significantly supported missions in Belgium, Africa, Asia, and South and Central America.